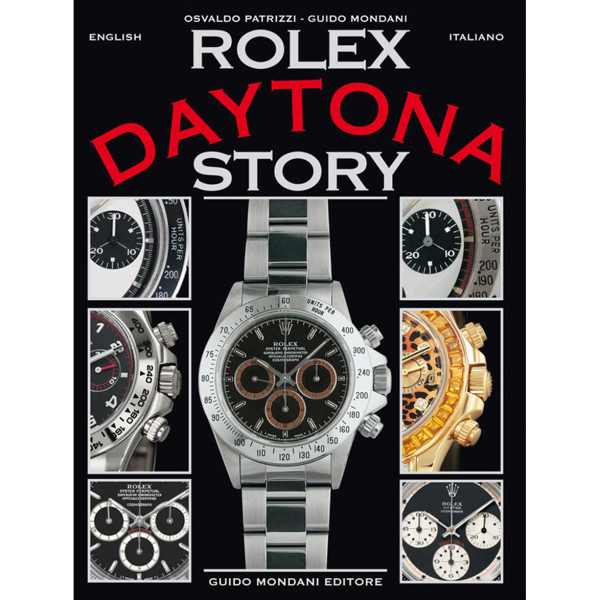 ROLEX DAYTONA STORY describes every single Daytona reference, from its origin until today providing all the essential details for collectors, enthusiasts and dealers. 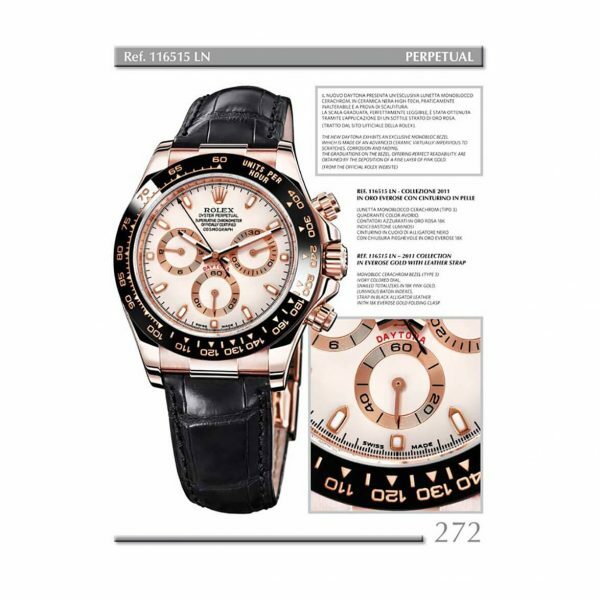 All references are presented with the dates of the beginning and of the end of production; each model is illustrated with all those characteristics that determine the value and the rarity of the watch. 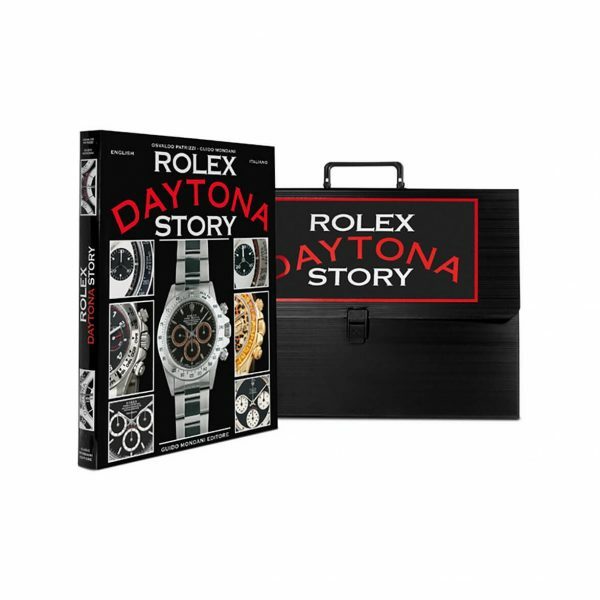 All the illustrations in this volume are exactly what collectors have always dreamt of: large, beautiful and depicting every little detail of all the watches. 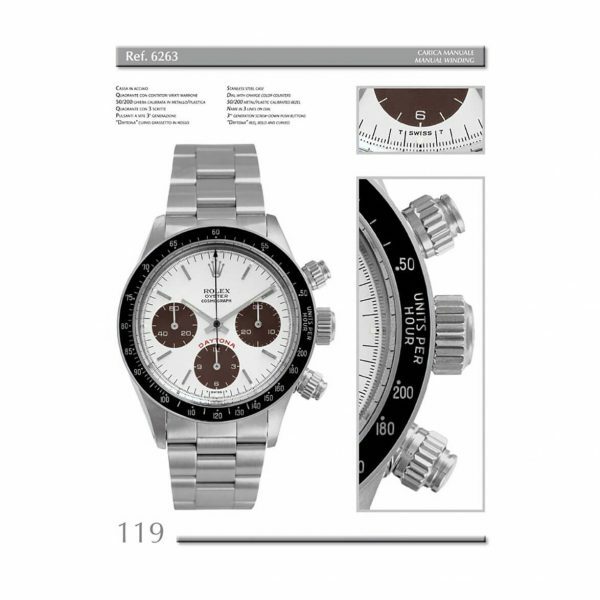 The important dates of the Daytona, the chronological production table, the “Paul Newman” dials, the Daytona dial makers, the Greek letter “sigma”, the customized dials, the faded dials, the calibers used and their differences, the aftermarket dials, the push-buttons, the bezels, thewinding crowns, the “underline” dials, the “Tropical Dials”, the bracelets, the gold hallmarks, the enamel dials, regular 6 and inverted 6, the updated estimates of all published watches. 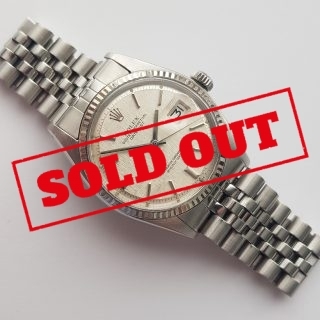 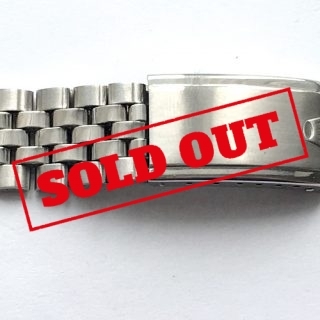 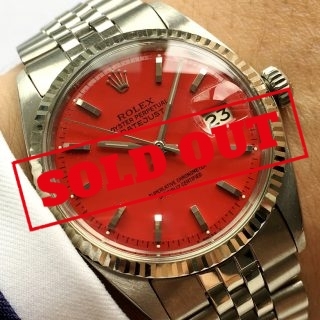 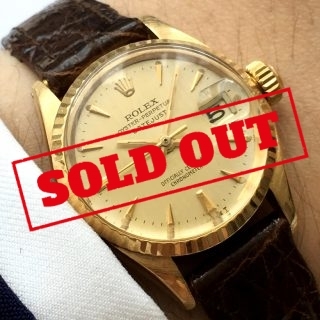 Bezels – Bracelets – Buttons – Calibers – Case back – Cases -Dials – Dials with changing color – Diameter – Hallmarks – Hands – Indexes – Inverted 6 – Lugs – Movements – Papers – References with their period of production – Sigma – Spare parts – Winding Crown.